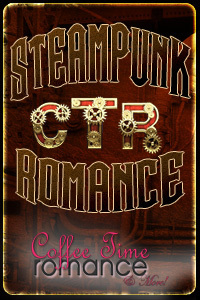 At Coffee Time Romance, I offer you a Steampunk Romance Potpourri! At Smart Girls Love SciFi & Paranormal Romance, Charlee posted an interesting article called How do you define success For SciFi Romance? The big question for me is, do I care? Should any of us care? With digital first publishers growing and traditional publishers rushing to develop digital first lines, do we need to see SFR in print? With indies being so successful, do we even need traditionally publishers to consider SFR a long-term viable genre? Have attitudes changed enough that we no longer define success in terms of traditional measures? Tor Books editor Patrick Nielsen Hayden has acquired two novels from Charlie Jane Anders. The first, All the Birds in the Sky, is described as blending literary fantasy and science fiction, telling the story of the decades-long, on-and-off romance between a sorceress and a computer genius, beginning in childhood and proceeding against a background of increasingly catastrophic climate change. All the Birds in the Sky is slated for publication in 2015. Here is the problem with Wisskopf’s presentation: when you use words like “PC” or “fuggheads” to describe groups of people (e.g. women, people of colour, LGBTQIA folks) – people who have been trying to become fully accepted members of what you call Science Fiction Fandom – you are not only delegitimizing their fight but also reframing the narrative of the fight itself. This is history being rewritten in front of our very eyes. My main question when hearing this argument is: “history” as perceived by whom? As defined by whom? Why is it that this early history of Science Fiction fandom is presented as “idyllic” when we know for a fact that large groups of people stood outside looking in? Isn’t that history being rewritten in front of our very eyes? Try this: when you Google “best Science Fiction of all time” or “essential Science Fiction novels,” you almost invariably get lists featuring works by the same group of people. Very few contain writers who are not white and male. The narrative that chooses this subset of people as the only worthy “masters” of the genre? Isn’t that, too, rewriting history in front of our very eyes? It is obvious to me that this idyllic period of Science Fiction “history” is told largely from an American, white, male perspective. It might be an important part of a historical narrative, but it is not the whole narrative. Surely, it can’t be. If we choose to brand only those works “masterful” and “classic” and “essential”, what are we saying? In the context of Ana's post, anytime we in the SFR community write about sci-fi romance, we're preserving a part of the "lost" history of SF fandom. Our collective effort is a very important contribution and together with other marginalized voices, we can change the tide and usher in an era of inclusivity.